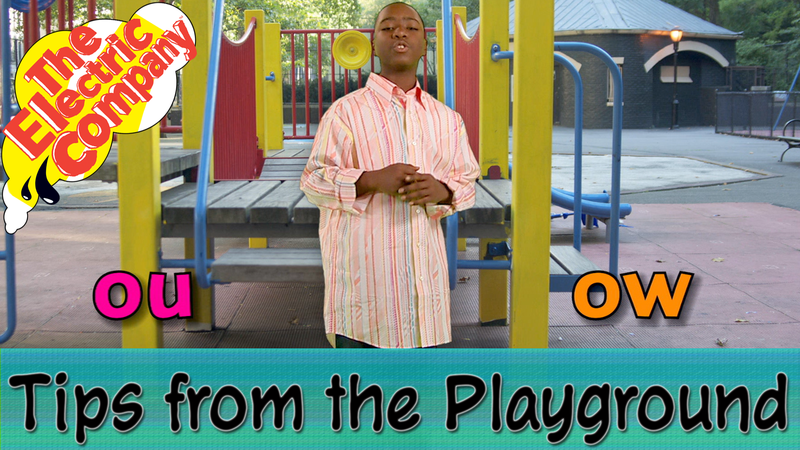 Reggie discusses the pronunciation of "ou" and "ow," and how to figure out which one goes in which word. He uses the phrase "oh you go first" to demonstrate that "ou" will be used when the sound appears in the first syllable of the word, and that "ow" will be used when the sound occurs in the last syllable or at the end of the word. This resource teaches children spelling, pronunciation, decoding, and grammar.